Russia may consider granting Chinese investors over 50 percent stakes in its strategic hydrocarbon fields, Russia’s Deputy Prime Minister Arkady Dvorkovich has said. “If there is a request from China, we will seriously consider it. And I see no political obstacles at the moment,” Dvorkovich said Friday at the Krasnoyarsk Economic Forum, adding that fields on the Arctic continental shelf are an exception. Russia and China are on the verge of a major breakthrough in terms of investment, not just trade, and are ready to deepen their economic ties. A strategic partnership and a mutual interest in new industries make China an obvious investor in Russia, says the deputy prime minister. "We have a strategic partnership with China and now decisions are made much faster than before. In particular, we have a gas contract; a second one will be signed soon. Now we know China better: their motives and intentions are understood. There used to be a psychological barrier. Now it doesn't exist anymore. We are interested in maximizing investments in new industries. China is an obvious investor for us,” Arkady Dvorkovich said at the conference in Krasnoyarsk. In May 2014, Russian gas major Gazprom and China’s CNPC signed a $400 billion contract to supply 38 billion cubic meters of gas per year to China for 30 years via the Power of Siberia pipeline. 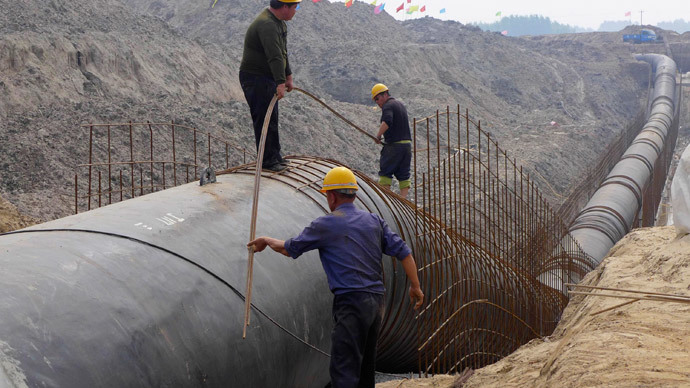 In November, Moscow and Beijing signed a memorandum on an additional pipeline, the so-called Western route, which is to run from gas fields in Western Siberia via the Altai gas pipeline. These direct supplies are planned to start in 2019. Chinese investors are interested in the Russian agriculture, the processing of natural resources, and retail and logistics, according to Dvorkovich who had also mentioned the Moscow-Kazan high-speed railway project. China plans to build a $242 billion high-speed rail link between Beijing and Moscow with a Moscow to Kazan branch. "We're not just discussing, we are talking about absolutely specific projects and concrete things with our partners,” the deputy prime minister said. The two countries are looking forward to boosting cooperation in various areas such as finance, aviation and space along with improving trade and economic cooperation.